In Barrow, Alaska, it all begins with a euphoric voice over a crackling radio: "Hey, hey, hey!" 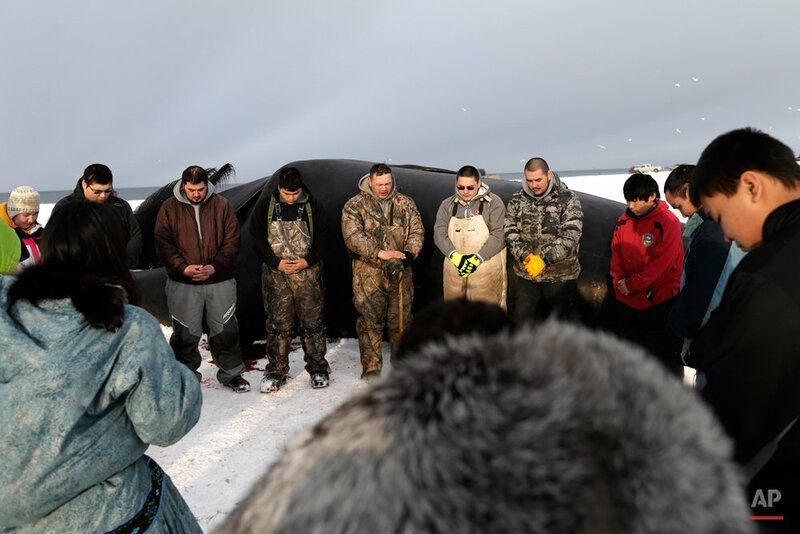 The signal from an Inupiat whaling captain in a tiny boat on the grey waters of the Chukchi Sea is heard in nearly every home of this frozen town as far north as you can go in the United States, and its meaning is clearly understood. A bowhead whale - one of the oldest and largest mammals on earth - has been caught. 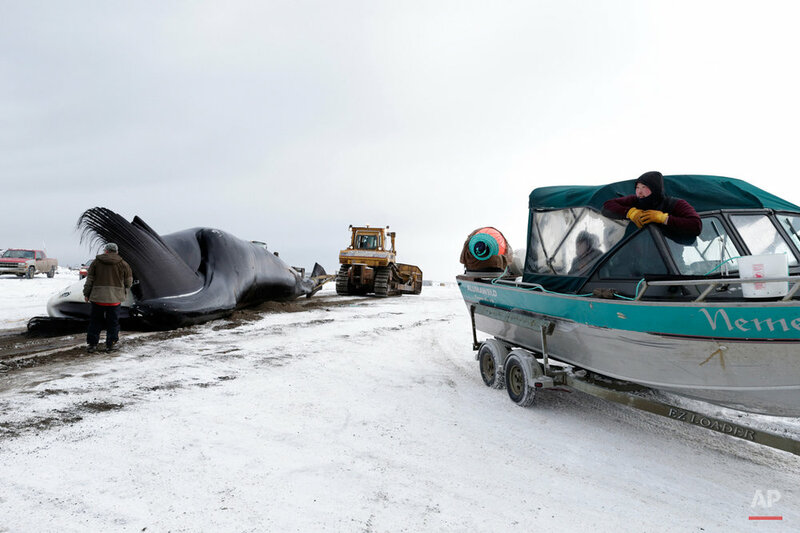 Keeping with a tradition that stretches back thousands of years, bowhead whales are hunted by boat during the fall season. 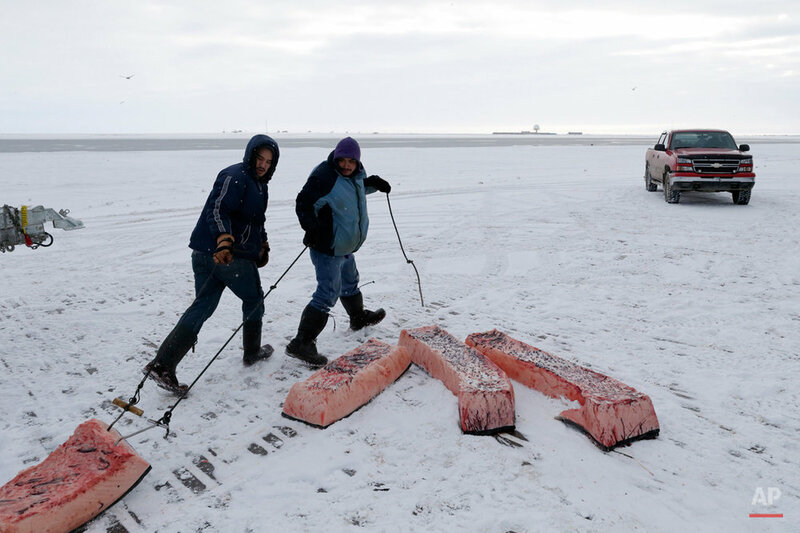 Once ashore, residents flock to help in the work of divvying up the whale. 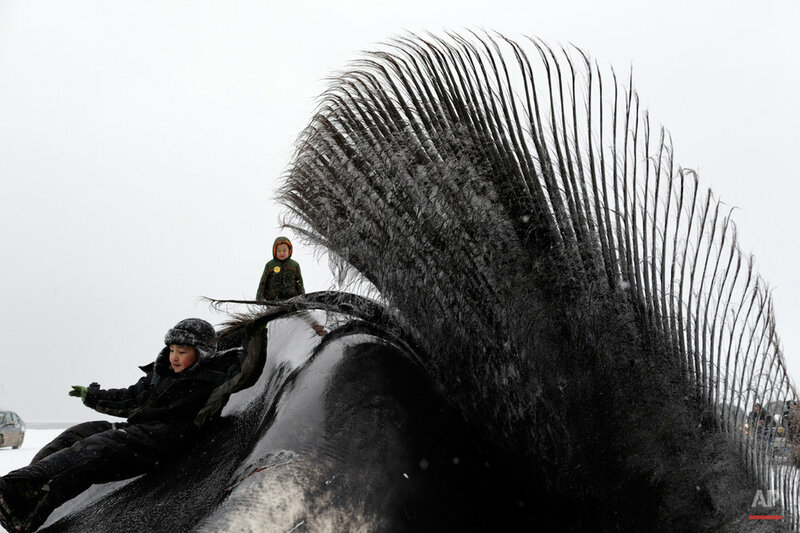 As children slide down the whale's slippery side, officials inspect the catch and ensure the hunters have followed international guidelines to keep traditional whaling on a subsistence scale for native communities. 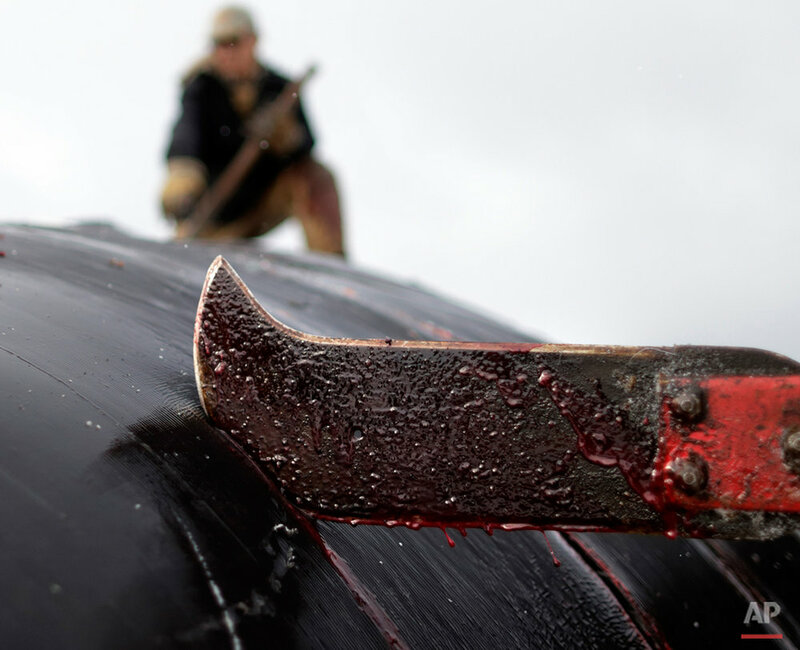 The skin and blubber, known as muktuk, is prized by the Inupiat, and often eaten frozen. The community says the catch helps them feed their families in the town where produce such as watermelons that are flown in cost as much as $20 each at the local grocery. 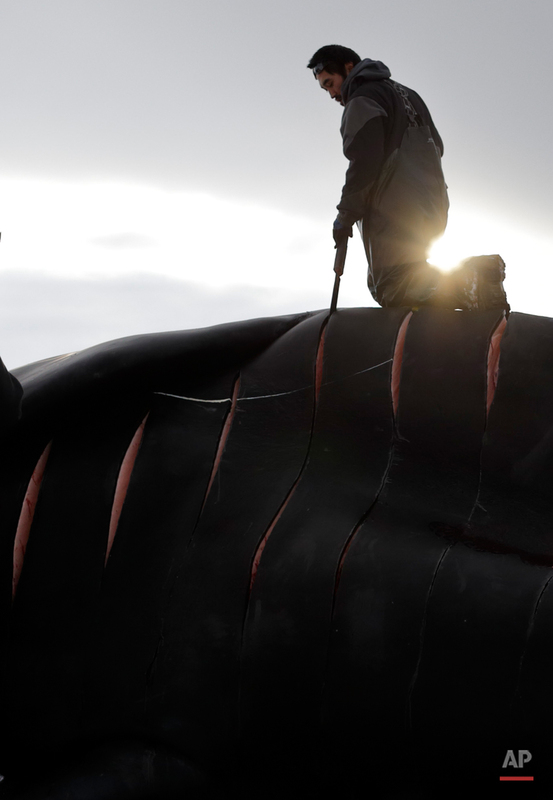 Text from the AP news story, AP PHOTOS: Whale catch is survival in Alaska town.